I've been wanting to try out this foundation for a while now. I was at Target the other day, Christmas shopping when I saw that certain colours were on clearance for $5.49 CDN. This foundation is usually $8.99 CDN. 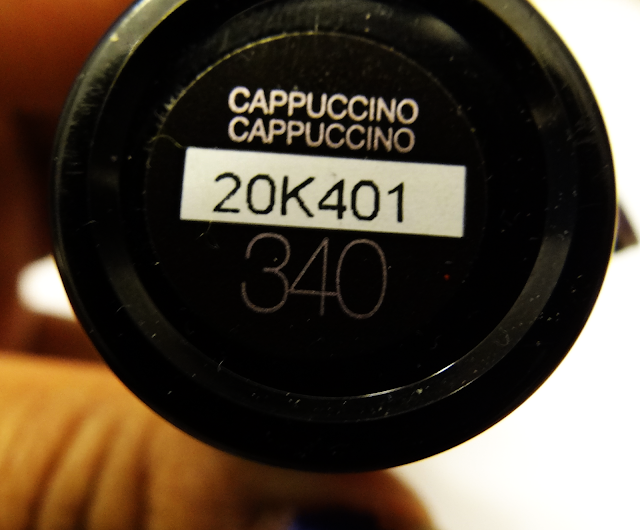 I was debating between the shade colours 340 Cappuccino and 355 Coconut. I looked at swatches and decided to go with the 340 since the 355 looked a bit dark. This Fit me foundation claims to be shine-free. 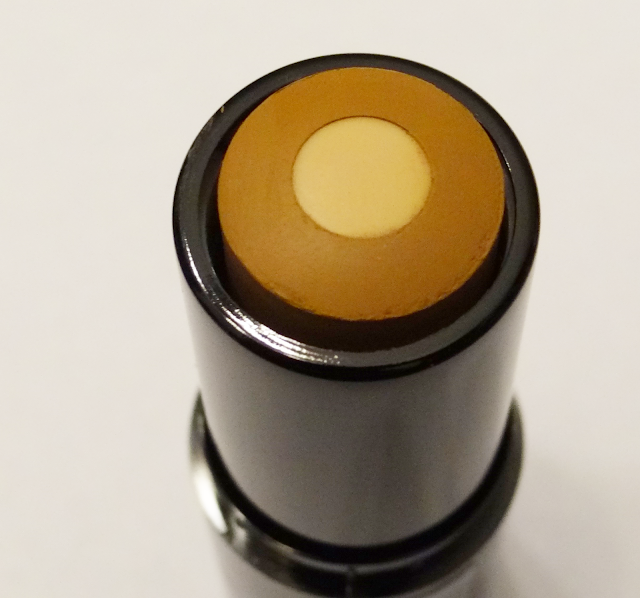 It's a gel foundation that has a anti shine core. It claims to turn matte and that lightweight powders in the core dissolve the excess oil. I tend to have an oily T-zone and sometimes the top of my cheeks. When I swatched this, it was creamy and easy to blend. I usually don't like liquid foundations because it can oxidize and change colour. I applied this in short lines on my face and then used my Real Techniques buffing brush to blend in the product. It goes on creamy and blends well. It does turn into a matte powder finish. I didn't have to put any powder on top. I did use the Hard Candy primer under this foundation. I did half of my face first. When I applied it I noticed this the 340 colour is a little dark on my skin tone but not too dark that it makes me like a shade darker or too orange. This colour ended up blending out well to match my neck. 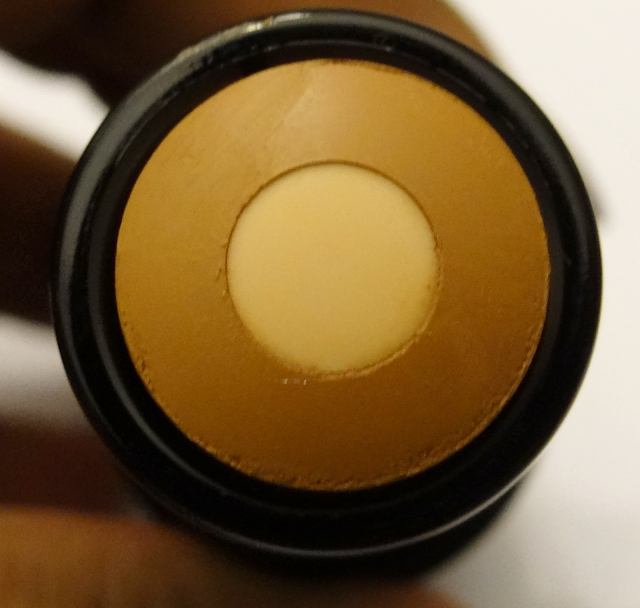 When you apply this foundation the core and the foundation mix together you don't notice the separation of colour. It's easy to apply and to blend out. I asked my husband on his opinion about this foundation when I had it on half of my face and he said that he could tell that I was wearing foundation only because he knew what I looked like without makeup but he told me that I didn't look cakey or like I had too many layers of foundation like others. I applied two layers of this foundation. I feel that it did well in covering up my skin. I had a pimple on my chin that had a little redness and this did well in covering that up. I took a picture to see if it does get rid of the shine and I did notice that the side that I had the foundation on was not reflecting shine as much on my cheeks and forehead which I usually have a problem with when I take photographs without foundation. Left side Maybelline Fit Me Foundation vs Right clean skin. I was this for about 6 hours and it lasted quite well. 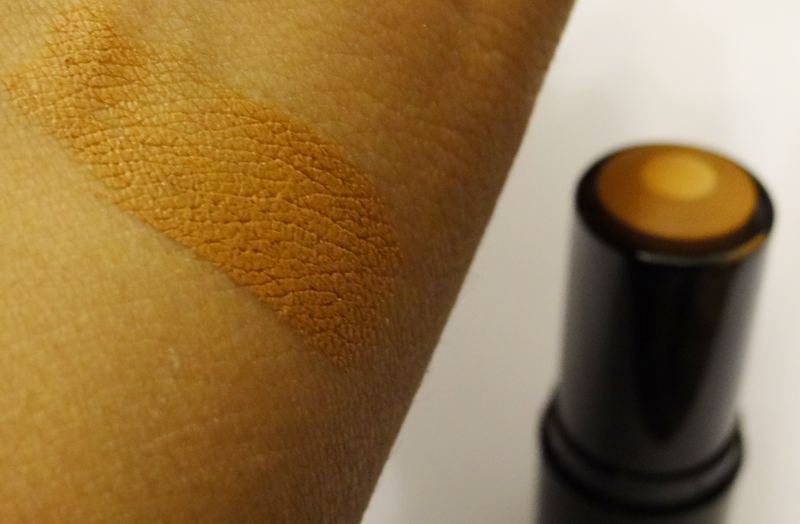 There was no patchy spots of the foundation wearing off and it didn't transfer as much when blotted with a tissue. It kept my blush fresh and didn't wear off as easily. I like how it leaves my skin smooth and that I don't have to powder on top. The coverage is a light to medium. It's easy to apply another layer and it doesn't become cakey. As for the shine it does help but I don't think it completely get rid of it. 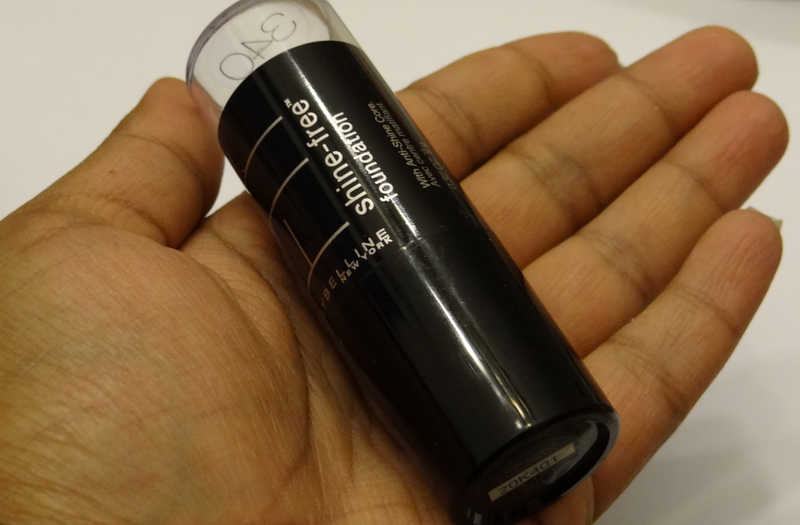 I like this foundation it's lightweight and doesn't feel as heavy as other foundation. This has definitely become my favourite. It gives you nice coverage, I liked your detailed review, xoxo.